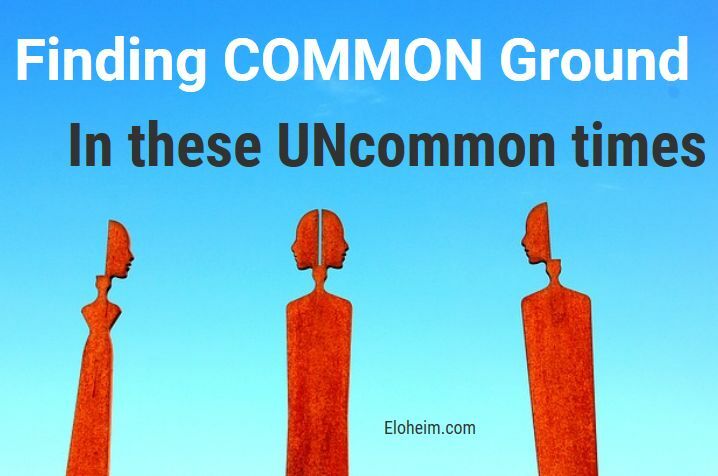 Eloheim and The Council » Browsing Articles in "Channeling"
We’ve been working for awhile on the Awareness teaching and getting on the same page. It’s seems like most are finding some connection to Awareness. The four steps previously described are not exact, they are general categories of progression that people seem to go through as they go from Personality to Awareness and returning to Awareness when they fall out of it. That doesn’t mean that each and every one of you have the exact same experience. It’s about being present to the Now rather than being in the past or the future. It’s really the “This is My First Choice” or “What is True Now” tool come home to roost. It’s where you’re focusing very clearly on the current moment and acknowledging a new perception of the physical form and how it experiences the world, as well as acknowledging that fact you are in Awareness. Keep in mind that preconceived notions can block you from noticing you are actually in Awareness. Awareness has always been present, it’s just not always been dominant. Notice how it’s different, and be fascinated by the fact you are experiencing something different than you have up until now. You cannot know what Awareness will be like if you are asking Personality to tell you. Have you been using the four steps and how has your experience been with it? “I realized that once I let go of preconceived notions, I was in Awareness much more often than I thought I was,” noted Julie. Perfect. Let go of preconceived notions, and also, try really hard not to imagine limitations. We’re looking for the Body-Awareness dynamic being your dominant experience as you walk in this world. 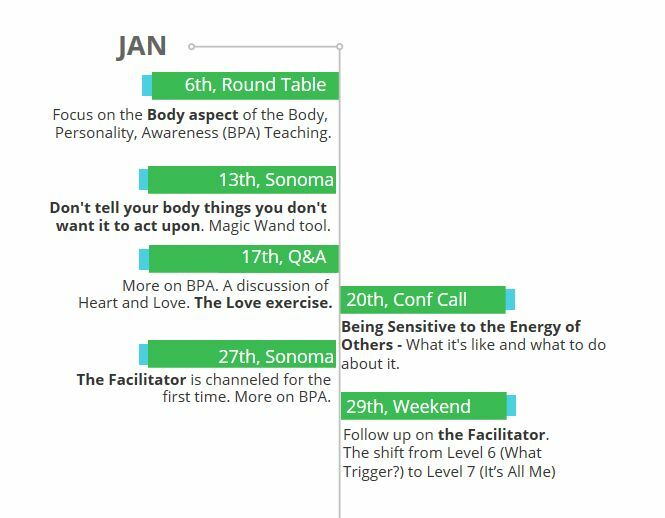 For years we said, projected, suspected, described the idea of the Body and the Awareness collaboration being experienced in physical form on planet Earth as It’s All Me and Watch It Move. It’s All Me is experienced internally, and the gingerbread experience of the Big B Body of Watch It Move parallels. You align and move, you bloom. Level 7 & 8 will be experienced side by side. The key is to stay in Awareness more often by doing the four steps. You’ve dumped Personality, you’ve kept Body, and you’re emphasizing Awareness. But I don’t think I’m in or can tell when I’m in Awareness is what we are hearing. Some people felt that Awareness didn’t feel different enough, so they didn’t believe they were in Awareness. Using Step 3 to acknowledge the Awareness moments, no matter how small, is important. Notice and acknowledge, this is Awareness. The key is noticing how are you different in a familiar setting. It’s not the setting, it’s how you ARE as you are in it. Notice how you are different. Use that muscle that you have to not argue with the Now. That includes Personality telling you you’re not in Awareness! That’s the step we’re on, to experience the physical world that you previously considered not-me as viscerally you as you currently experience your gingerbread shape. That’s the goal, and we’re looking for steps to help us achieve that goal, to blur the line between the your gingerbread shape and the rest of the world. In referencing to not skipping the now, Personality has perceived time as a linear thing in one direction only. In Awareness, your experience does not go linearly, it goes down and in, fractally. Your experience of yourself is deepening and deepening. So when you skip a now-moment, you slaving yourself to that linear line. When you value the now in Awareness, your experience actually goes down and deeper, it’s enhanced. That’s why Fred is here. They’ve done amazing things only speaking to your Personality. Now they get to talk to your Awareness. And you get to have the inexplicable experiences. The Council is snuggled in, ready to watch that show! So, to wrap up: do the four steps. Acknowledge that you are experiencing Awareness, and as you experience, notice that it’s Awareness collaborating with the Body. No preconceived notions. Invite the collaboration to start evidencing itself in some ways. When it does, don’t talk yourself out of it. This meeting was chock-full of juicy bits, from a discussion of some new ideas to Earth’s incarnational cycles and humanity’s evolution and what it means to us. 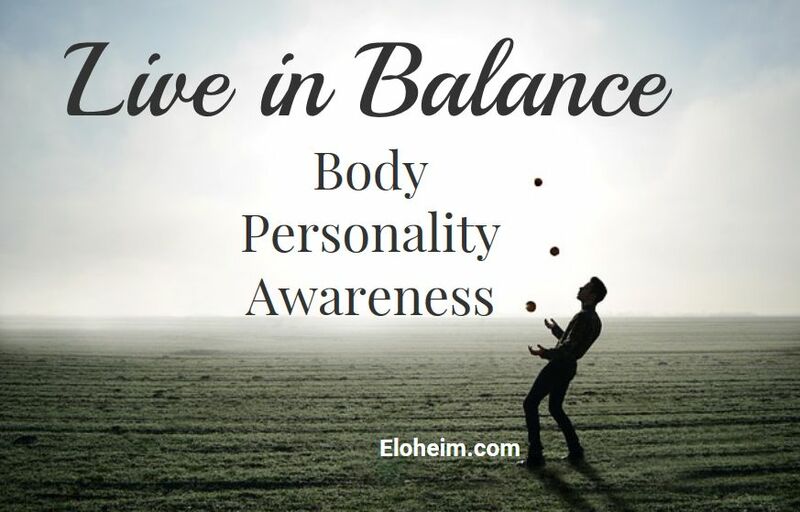 Eloheim: Our main focus of late has been talking about how the Body and Awareness interact, and what it means when you discontinue having a Personality-based experience of the Body and start having an Awareness-based one. As we journey together in this process, a couple of things popped up for Veronica. She became aware of how we may accept the now, but only in a certain way. 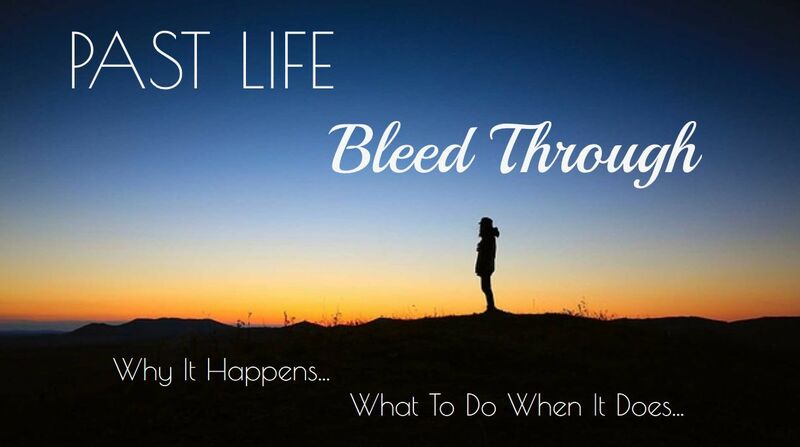 We make up reasons why something happened because accepting the now involves a disastrous scenario or avoiding something bad. Accepting the now; then the Personality dreams up all the good reasons for what is happening. For example: Imagine you are stuck in traffic. The habit is to resist the experience and deal with it by imagining that the delay is keeping you from being in an accident or something worse happening. Personality needs to make up a story about it rather than just being present to what is. This is a good reminder that a lot of spiritual ideas and teachings are all Personality dancing with the Personality. In our community we are not going to let ourselves duel with the Personality. The opportunity here is to engage with the moment without preconceived notions. It’s the opportunity to recognize what-is as a great gift. Question: How does this relate to or where it was experienced in the energy systems? A: It was more a sense of her perception of herself, her location in space, her perception of identity. When your location changes, if you move your self identity from one place to another, the construct of you changes. It felt like a stripping away. There’s no other choice to be made other than to be present, it’s choiceless choice. What we’re doing now is finding a way that Personality’s definition of the Body is surrendered and the Awareness’s experience of Body is explored. Veronica was exploring the Awareness’s connection to Body being visceral. Question from John: Is there a difference in how the males and the females grasp this? A: We wouldn’t be surprised if there’s a distinct difference in how the masculine mind and the feminine mind approach this information. You process information in different ways. Awareness is so different, but it uses all the same props; it’s how you engage with it that changes. I am different in this familiar situation is how Awareness shows up. You don’t have to choose, it just happens. A question was asked about the inability to stop thinking. A: We wonder if you can have a parallel track, two lanes. On the left side is all your normal thinking, leaving the right side to be doing something else. I’m not going to try to stop all this thinking, it can carry on, leaving this lane free to have different experiences. I’m not engaging it, instead putting my attention on the other lane. See if that will work. Another thing, barriers have resurfaced for Veronica. Lots of old things have been popping up, asking to be worried about, as well as some “Harry Potter” imaging of what Awareness living would be like. Awareness living is driven by a completely different set of impulses. The driving force of Awareness is rejecting the notion of the to-do list and instead, engaging the present as deeply as possible. Do you engage do-to-get or access to the Field of Infinite Possibilities? HERE is the IS that you’re in, what are you going to do with it? We’re at the beginning of this talk. It’s a new idea: how to inhabit a physical form in Awareness, then to experience that Awareness relating to Body, and that Body is not just your gingerbread shape but all electrons. Imagine if we had said this 10 years ago! It is not small. So, we throw something out there like this, and you go huh? And we just keep banging on it. It’s a messy, beginning meeting. It’s not like we expect anybody to get it immediately. Some people quit when it’s messy and that’s okay. We’re doing the best we can, we’re pulling out different things and seeing what sticks. 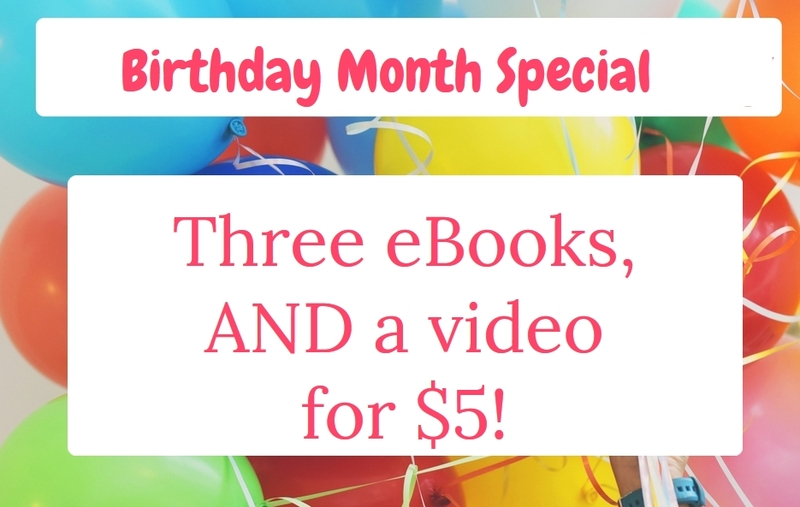 Plus, we’re doing it in the most charged and connected time you’ve ever had. You’re assaulted daily by stimulus, you’re over-engaged, you don’t get to isolate, and you don’t get measurement or the promise of a reward from a deity or an external source. And we say to you, don’t think, and you wonder, how do you survive if you don’t? This is not a small request we’re asking of you! It’s enormous and unprecedented. So, if you wonder for awhile, “Am I in Awareness?” or “I don’t know what I’m doing,” that’s completely reasonable. Yeah, it’s totally confusing and yet, wonderful. It’s the freedom of living in Awareness, and people getting to match energy with you instead of you being whipped around by their level 2 stuff, and the opportunity to create an energetic that has never been on this planet in this way. No sensei, no deity between you and the experience you’re having. We don’t even want to come between you and your evolution. What that means is that anybody can do it. It strips away, doesn’t require other accoutrements to live in Awareness. At the end of the day in this evolutionary process, we want this just to be you. Nothing between you and this experience. This led to a discourse on the long-term ambition for Earth and how Eloheim had to ramp up the Survival Instinct to get humans to stay on the planet. 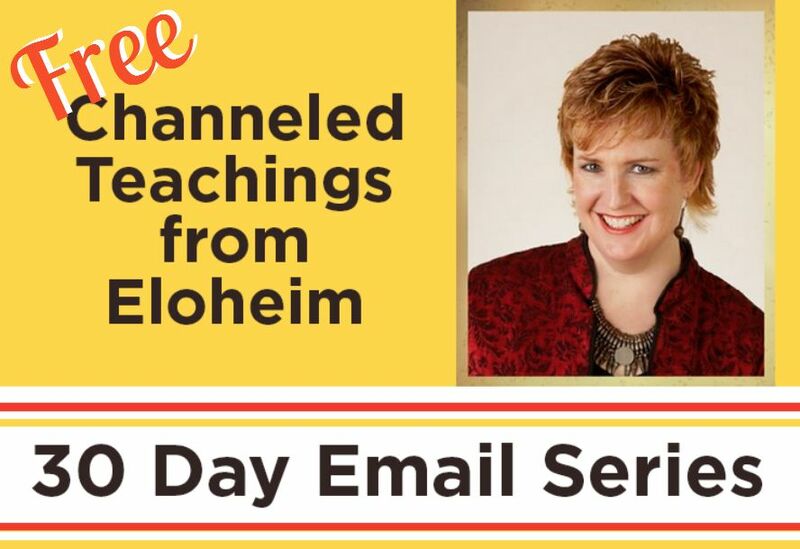 Eloheim continues: It not only affects your human-self, but your soul-self as you go through this experience. 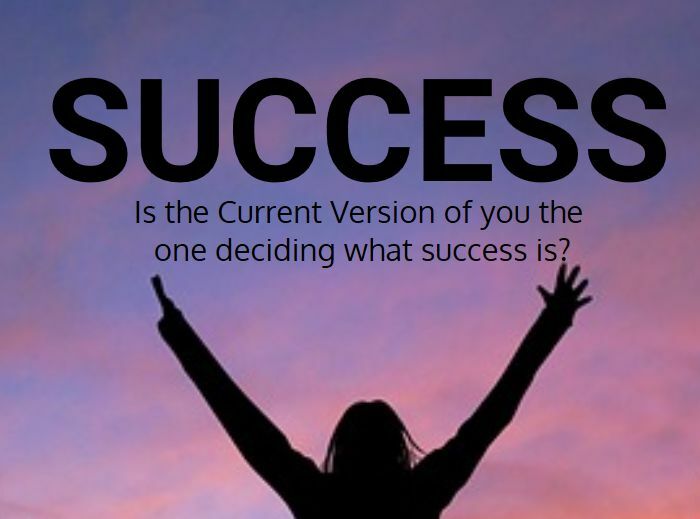 You engaged with this process because you knew it would generate significant growth for your soul. You said, “I’m going to set aside all I know as a soul and embody a human form in a free will zone, in density and duality, and I’m going to see what happens.” And down the road, I’m going to recover my infinite and immortal Awareness, and embody and experience that in physicality, rather than in the amorphous soul-self that you normally are. If that means you have to work a little bit to get in Awareness, okay. That’s the bigger picture. 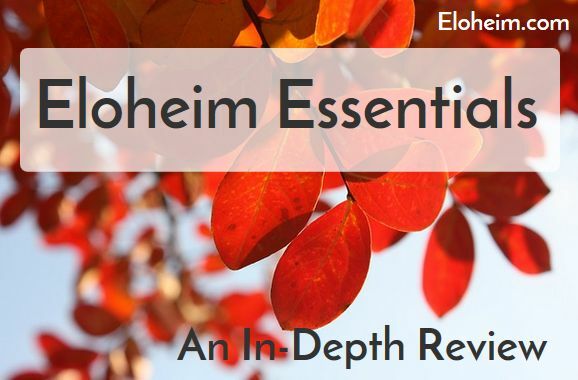 Eloheim took us through the evolution of the many incarnational cycles we have experienced on this planet up to where we are now and asked us to place what we are currently doing in the vast scope of what we have already done and felt over hundreds of lifetimes. 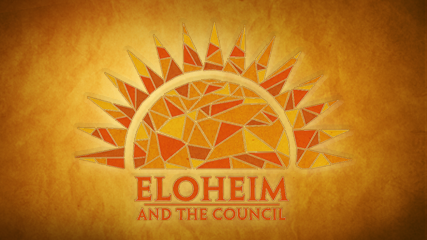 Eloheim: What we are doing is not actually not that big compared to all of them, your numerous incarnations. It’s giving you such juicy assets to your soul-self. Not only is it you as a soul, it’s you as a galactic citizen, it’s you as an emanational force. You are a gift to life. Everything you’re learning right now, your soul is using in other lifetimes, in other places. This place is an incubator for such profound evolution, and it feeds into your soul right now. In the last meeting we drew a picture on the whiteboard and apparently, confused many of you. Part of it was because it was brand new and part of it was we were trying to verbalize something that was only visceral. We used to work out how to talk about these things with Veronica ahead of time and now that we no longer communicate with her in that way, we do it here, together. It’s important to remember that just because Veronica experienced something one way does not mean the rest of you will do it the same way. It may or may not make any sense to you. That’s fine, step up and say, “this is where I’m at, this is where I feel stuck or not feel stuck.” Maybe even ask for help from us with it. Once more pulling out the whiteboard, Eloheim drew what they now are calling a hallway, a T-shaped hallway, and they talked more about Veronica’s experience. This hallway gives her an instantaneous read on situations. The end of the hallway, the top of the T, is indicative of the Field of Infinite Possibilities, and how far she is down the hallway lets her know where she is in relation to the moment. Being in the top of the T has her letting go of all limitations and expectations and feeling vulnerable – all while standing in the Field of Infinite Possibilities. She’s not on solid land there. Homo spiritus is not on solid land. It’s the big unknown. A state of “I don’t know.” It just IS. Personality is not driving the show, looking for answers. You’re in Awareness. It’s choiceless choice. You’re just being here. Awareness is not transactional, it’s experiential. So there’s no “vending machine” and far less adrenaline in Awareness. Notice and acknowledge every little bit of Awareness that you experience. Value it. Asking for input and feedback, Eloheim then interacted with the group. 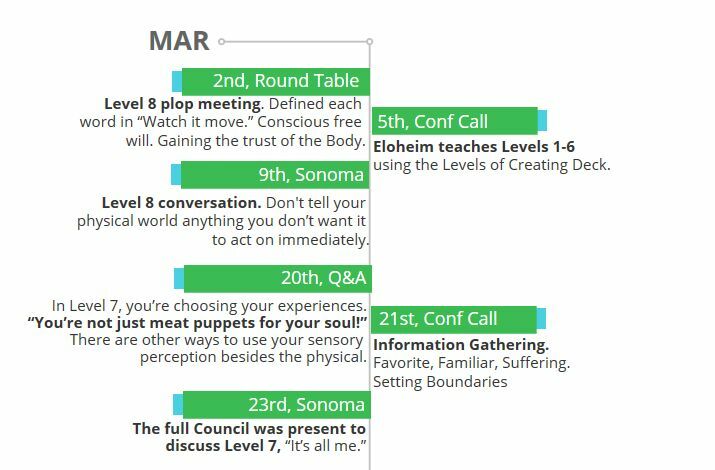 Feedback helps move the teachings forward since we no longer have an agenda for each meeting. There’s a lot of limitation that you guys experience that will no longer apply as you experience Awareness. There’s a ton of ways that you experience limitations in your day-to-day life that will fall away. We feel like we’re standing at the gates of Disneyland, waiting for them to open, ready to show the wonders of the park to someone who has never been there before. We say, dude, you have no idea what’s going to happen! And we’re thrilled to show you. All the teachings over the years have been to build up muscles to help keep you in Awareness when we get there. We are there. You know the teachings and the tools, and now we’re getting to use them in a different way. Remember we told you many years ago you would move from aha to aha, bliss to bliss? Well here it is. 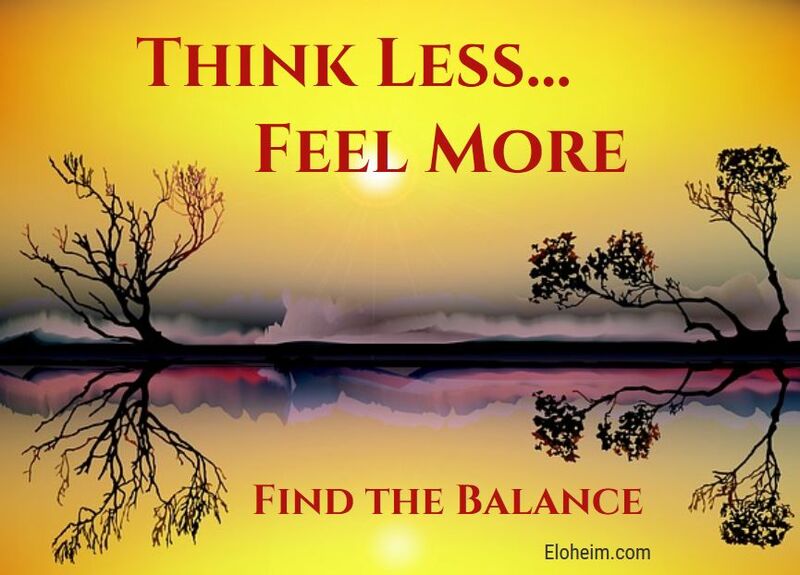 Clarity arises out of the Field of Infinite Possibilities, and you move from aha to aha. It may not be all the time, but you are experiencing it. 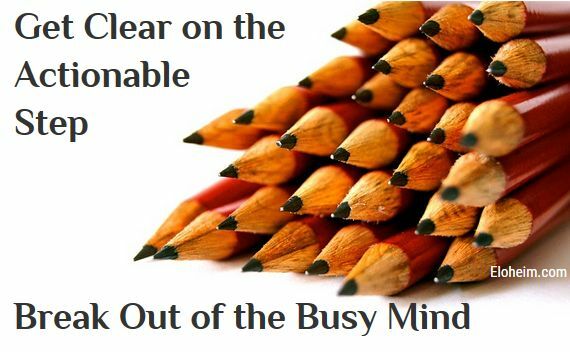 Someone remarked that they were having a hard time concentrating and another said they can’t remember anything in the meetings anymore. 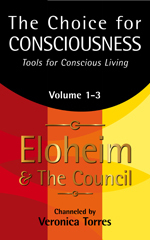 Eloheim: That’s because we’re talking to your Awareness, and Personality is the one who does the concentrating. 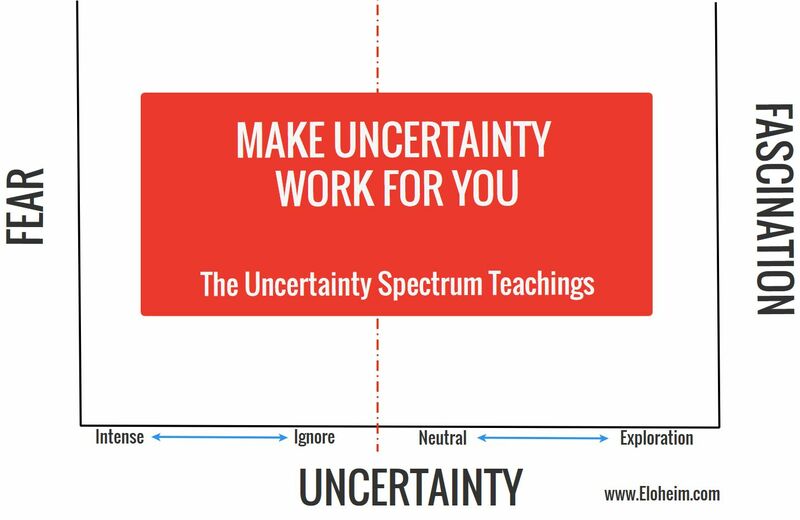 You’re in “I don’t know.” What if you just ARE with whatever you’re experiencing? Does that create that jeopardy within you or are you just taking it in in a different way? 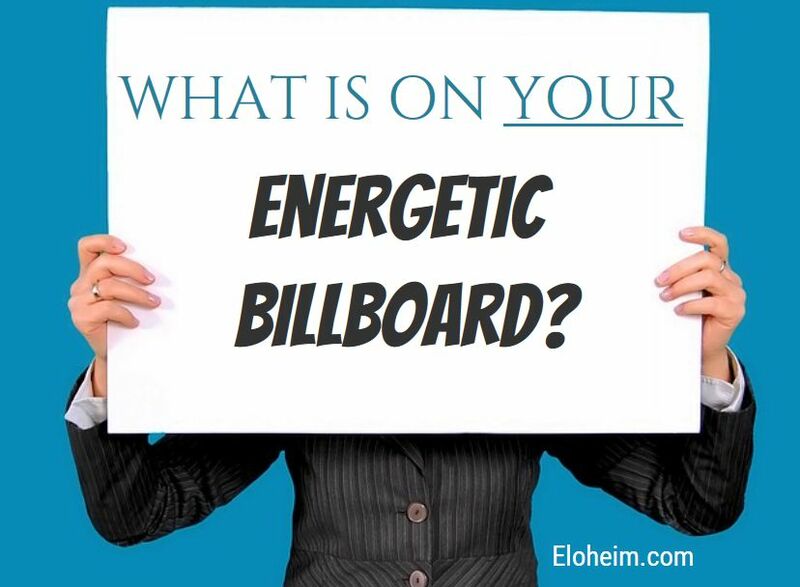 We can tell you’re perceiving the energetics we put out more than you used to and are not simply hearing the words. *Sidenote from this writer: Now I get why I hear something in the meeting, go to pause the audio so I can write it up and promptly forget what they just said!! It takes me far longer to write these up than it used to! Guardians: The energy of the room feels nice and clear. Part of what you’re working on is catching when you’re in Personality, catching and then opening to more, expanding to what you want more of. Notice and expand the Awareness part. Visionaries: Speaking of the idea of opening to the Field of Infinite Possibilities in new ways, that’s where you all are, you are hovering on the edge of it as you engage in the FACT of Awareness. “I am experiencing Awareness in this now, that is who I am now, that is how I live now.” That is fantastic. The journey where you start to feel you’re in Awareness is where you focus now, rather than focusing on what you need to drop or limit. Awareness building on Awareness. Focus on the Awareness part by being present, connecting with the fact of experiencing Awareness becomes so important to you that that is where you put your focus. You don’t dance and dally with Personality, you just turn into Awareness and expand on that. You have Awareness present in every now, the mixture varies, grab the Awareness part and expand on it. Eloheim: If you have some Personality and some Awareness, in the past you would focus on dealing with the fact you noticed Personality. Tonight, there’s a new opening in each of you, where you focus on and muck around in the part that experiences Awareness. This is good news that we’re able to see that energetic clearly. In every now there’s Awareness, and I don’t want to dance with Personality anymore and instead will focus on the Awareness part. This is a huge breakthrough for you. Veronica’s reveal of her project is great. How do your gifts move in the world? How do you show up? A container for you to move in the world in new ways has to happen. It’s a way for your “Watch It Move” to move. Clarity and integrity driven by Awareness. John then asked a question revolving around money and Eloheim talked for a long time about how the Body is responding to Awareness, and how it has the potential to dislodge you from the time continuum. One way this may show up is by you no longer trading hours for dollars. Warrior: We are really enjoying this Awareness to Awareness conversation as we waited in the wings. 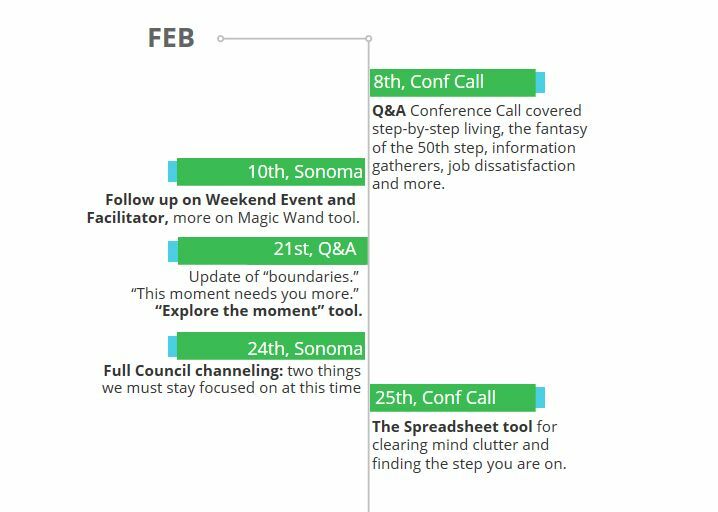 It is an Awareness-milestone meeting you are having right now. Something is shifting and it’s being acknowledged through our Awareness connection to you. As time goes on, when you review that story we told you years ago, you will get more out of it. It’s also us saying, we want to talk to your Awareness, we see it. We were trying to wake your seemingly sleeping Awareness. Now, as we speak to your Awareness, it changes our relationship from teacher or drill sergeant to comrade. We collaborate and accomplish together. We like this change. It’s a most excellent shift. Girls: This has been a fun night! It’s a big night that’s been brewing. You have been working on it. We don’t have to remind you to love yourself, the temptation to do that is so much less. It’s a liberation from our role as well. Your Awareness is dominating this Now and there isn’t better news we can give you! Fred: You certainly got the whole Council stirred up. We’re spending the entire meeting speaking to your Awareness. Did it feel different? It’s the beginning. We have marked it on the calendar. As we engage Awareness to Awareness we have the opportunity to delve into the Field of Infinite Possibilities. It’s not the time yet, we need you to bask in that and hold and pump up those moments of Awareness that you have. When Personality pops up, set it down. We need you to come back to us next time at least where we are ending tonight, if not even more saturated in Awareness. Matriarch: On nights like we especially enjoy going last. We got to bask in the energy. This transition doorway is so big and beautiful and we couldn’t be more thrilled. The entire Council is abuzz. 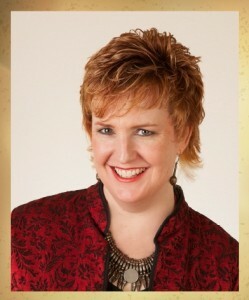 Before the meeting, I spoke about my new project (being created with Liz and Terri) called Everyday Expertise. I will have loads more information about this coming soon. Eloheim speaks about it during the meeting as well. 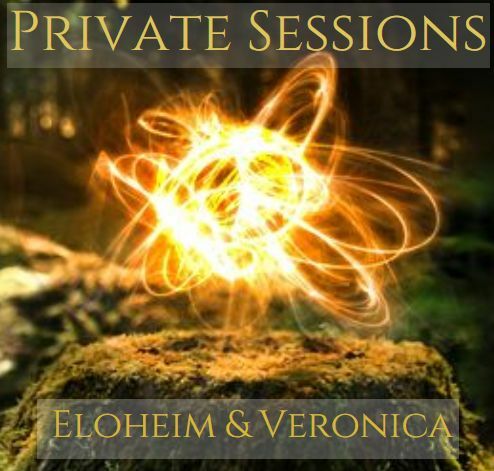 Veronica channels seven different energies that make up what is called The Council. 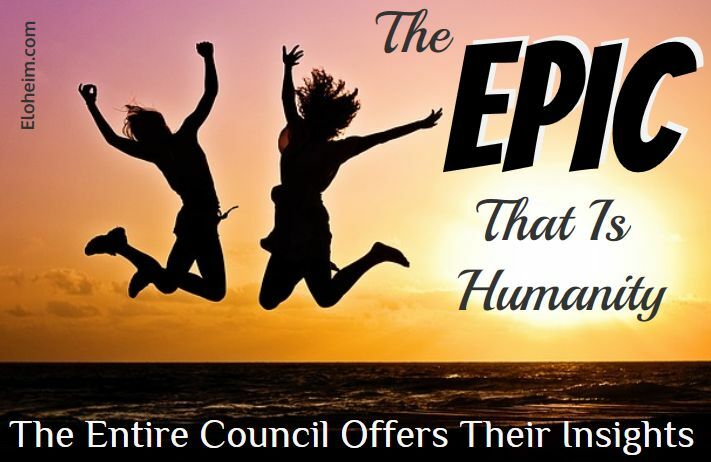 Each Council member provides a different perspective on humanity’s exploration of Earth and how to access the full potential of being human. You will come away with no doubts about how much you are loved and how important you are to life itself. The Guardians: Their job is to set the energy of the group. The Guardians tell us it is an “utter joy” and “a privilege” for them to help us. Fred: A galactic presence, Fred’s job is to make us think of things differently, more fractally. And they remind us, we are “perfect” in every way. The Matriarch: A loving, maternal energy, the Matriarch cradles the truth of us in her arms. She holds the exquisite, full version of us as we explore ourselves on Earth. 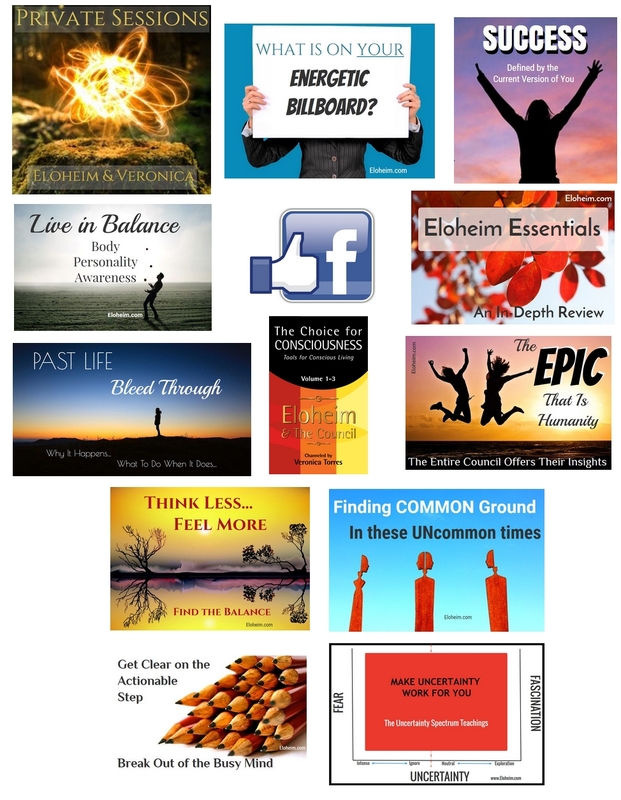 Eloheim is unfolding a grand teaching they called EMPOWERED EVOLUTION. 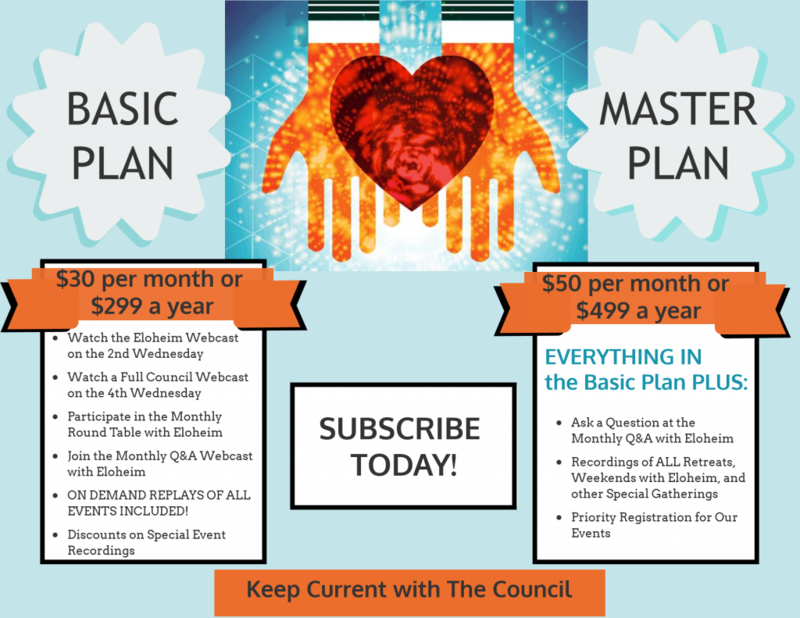 Join us on the journey by becoming a subscriber! 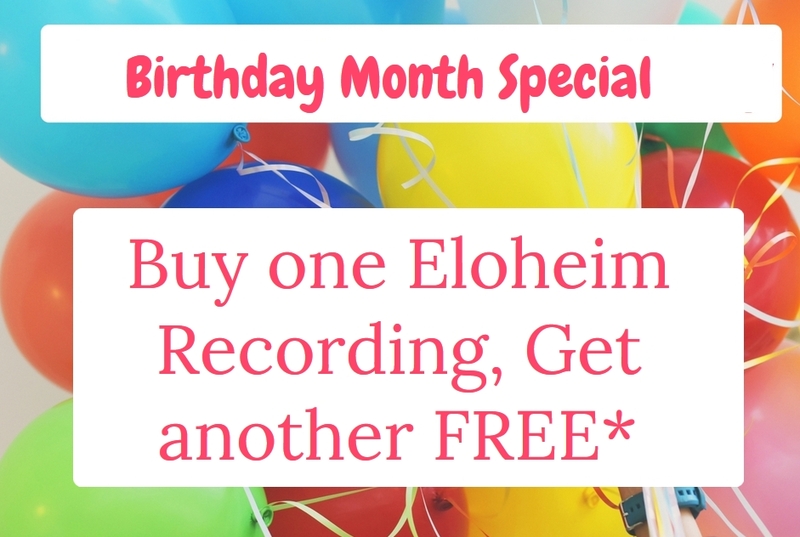 SIGN UP BONUS of an extra month of recordings!! Join today! 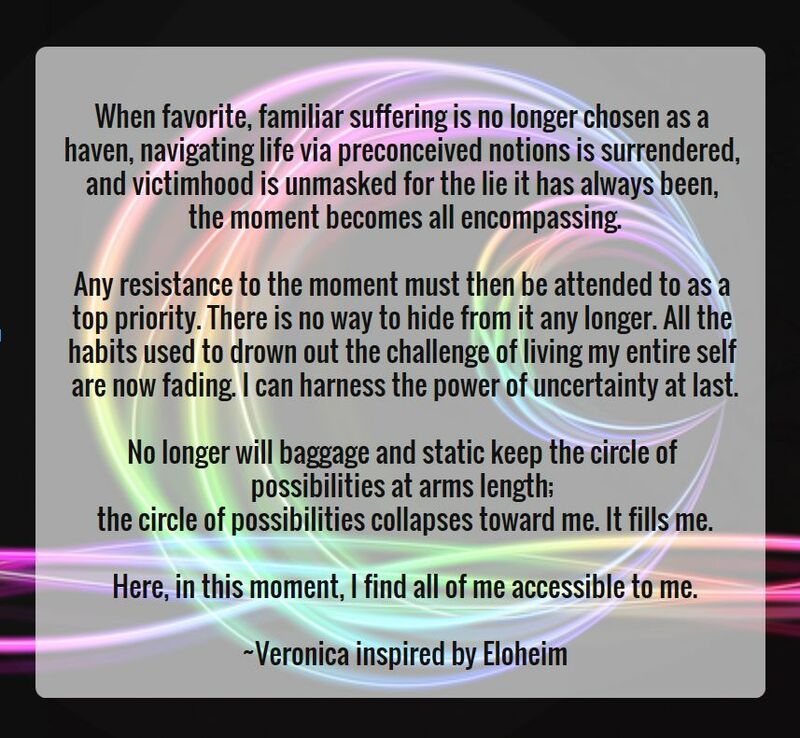 The teachings of January 27, 2016 and the first Weekend with Eloheim of 2016 are sill rippling through me. Wow, are they incredible. I am fundamentally changed after those sessions. Listen to them here. 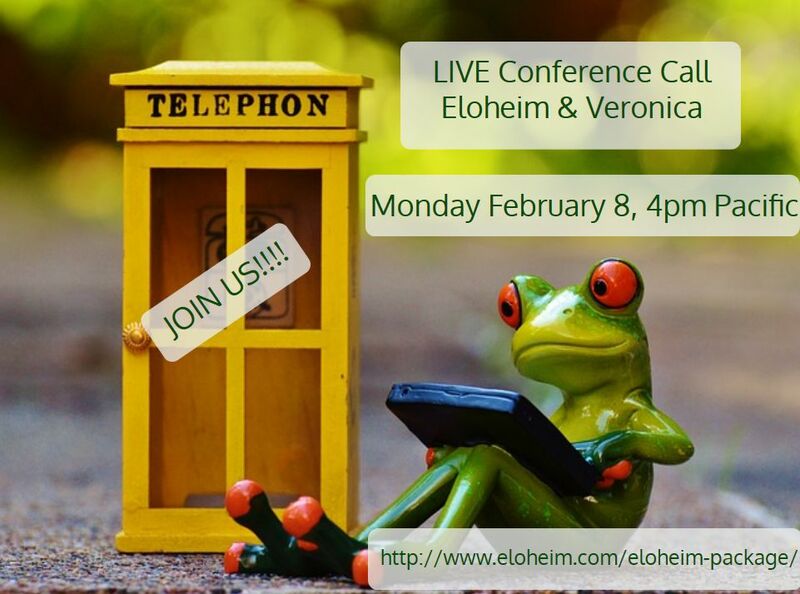 Live conference call with Eloheim and Veronica. Monday, February 8th, at 4pm Pacific. 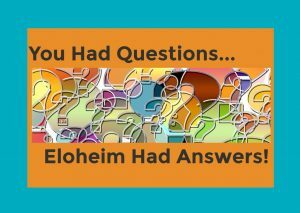 Join us and ask Eloheim YOUR question! 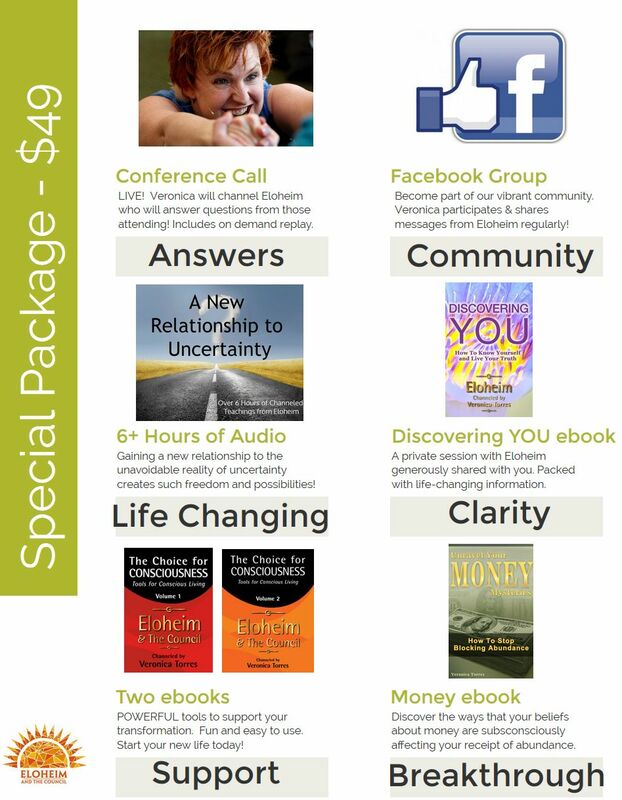 Register now and receive ALL of these benefits PLUS the conference call! Feels pretty impossible doesn’t it? when you allow habits to dominate your life. charge of your current moment. You have done too much work on yourself to give habits that much power. that offer fresh insights on every aspect of your life. bring the highest version of you into each interaction. 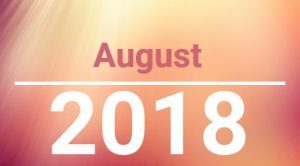 Join us for Empowered Evolution! 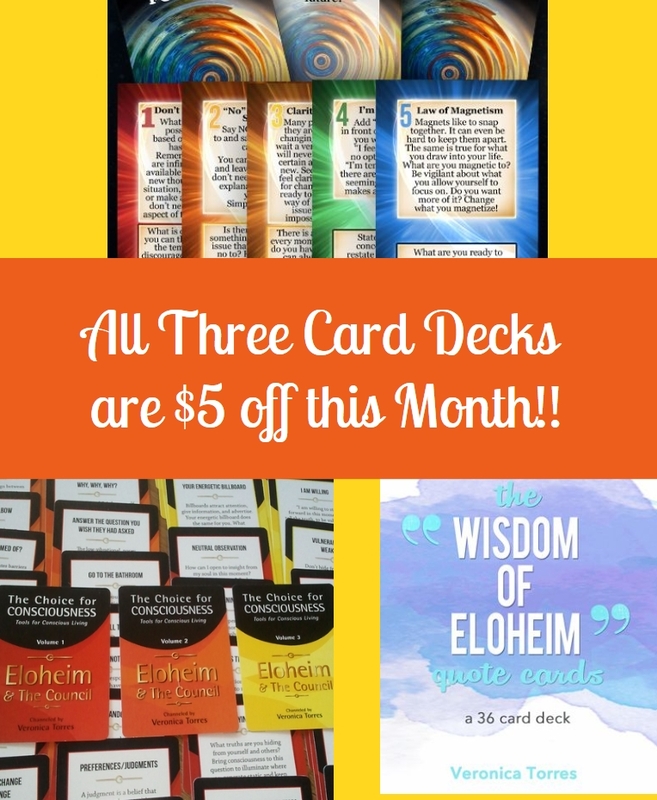 Eloheim’s teachings to change your life!